Alter The Press! : Tigers Jaw Release New Song "Slow Come On"
Tigers Jaw Release New Song "Slow Come On"
Tigers Jaw have released a new song titled "Slow Come On," which can be streamed below. The track is taken from the band's long-awaited new album Charmer, that drops June 3rd through Run For Cover Records. Pre-order your copy today via the label's webstore. 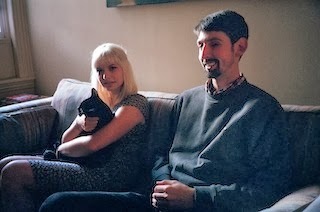 Dates for Tigers Jaw's summer tour can be found here.